Bulb Holder for use with sparklet type 8gm CO2 gas cylinders. Some are red, others are black depending upon who the supplier is. 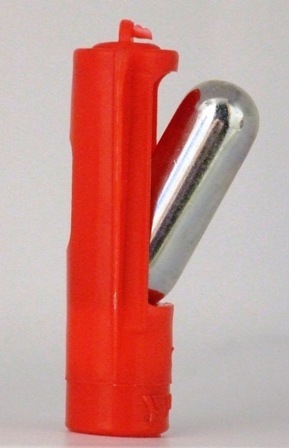 A standard plastic Bulb Holder for use with sparklet type 8gm CO2 gas cylinders. 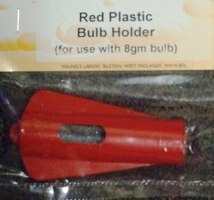 The bulb is placed in the holder and screwed onto an S30 valve fitted with a "pin valve". The pin pierces the cylinder and allows the CO2 into the barrel. You will need to be VERY CAREFUL with this item as it is quite easy to cross-thread it and strip the threads.